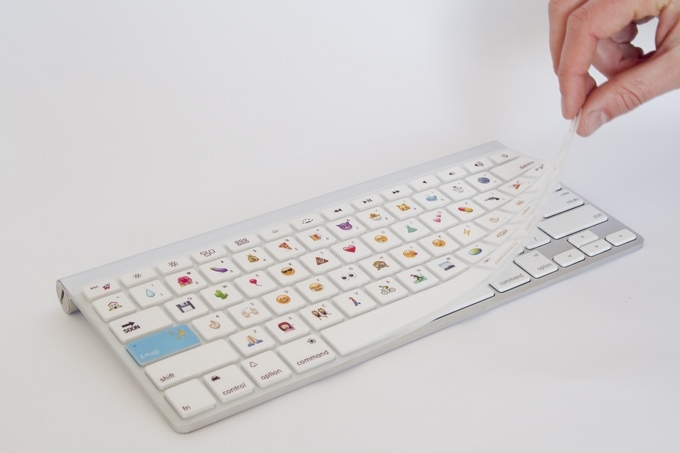 The Emoji Keyboard is a custom keyboard layover and software for Mac created by Disk Cactus that allows users to easily type emojis on their computer. The software replaces the traditional function of the Caps Lock key and uses it to enable “Emoji Mode” where each letter and number is assigned an emoji. Alt and Shift keys alter which emoji is being typed. The project is raising funds on Kickstarter, and if successful is expected to ship in April of 2015.